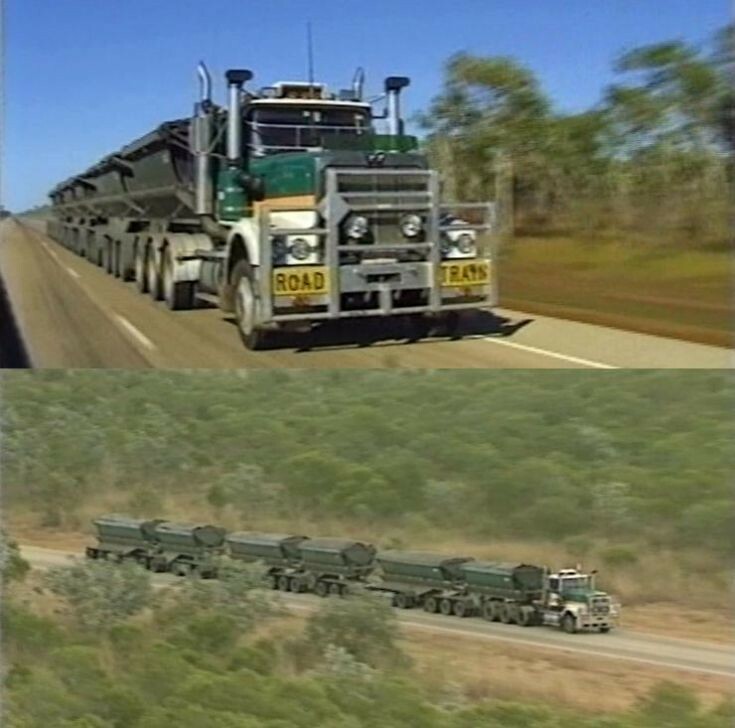 Western Star Prime Mover (Tractor) pulling 6 side tipping dump trailers, the world longest normal road legal truck. Photo taken about 1998 Australia. I want to be a driver this kind of monster aussie truck it's is my longlife wishes! Added by Wilfren Sumang on 11 May 2018.